Arcilio Sepulveda used to hunt pumas for a living. Today he’s a key member of the Tompkins Conservation wildlife recovery program, helping to protect an expanding population of mountain lions in Patagonia National Park in Chile. Formerly a “leonero,” a lion killer who lived on a huge estancia that raised sheep and cattle, Arcilio was offered a job as a park warden and puma tracker after the land was purchased for conservation. We can see in Arcilio’s experience—a former killer and current protector of pumas—the range of societal attitudes toward large carnivores. Since time immemorial, predators have aroused in us feelings of attraction and admiration, hostility and fear. During the process of creating Patagonia National Park, we have witnessed similar perceptions. 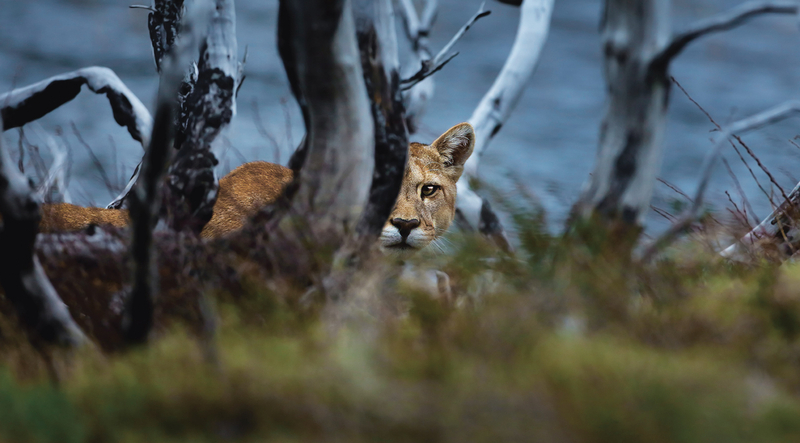 Here in the Aysén region—a lightly populated rural area historically dominated by ranching—pumas have been at the center of an ongoing conflict between defenders of livestock and defenders of wildlife. 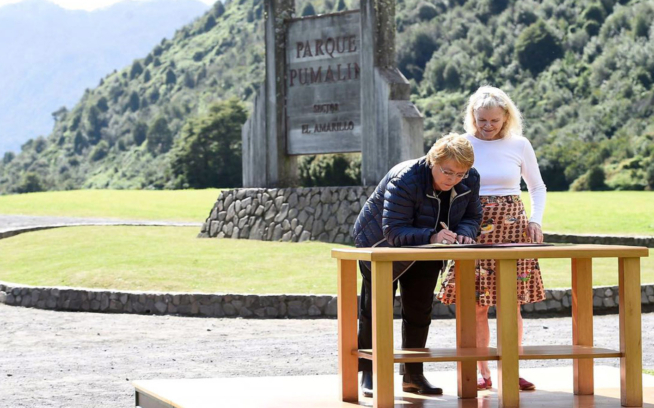 That conflict prompts an array of interesting questions: Can Chilean Patagonia remain true to its cultural traditions as it broadens its economy beyond traditional extractive industries like mining and ranching toward ecotourism? Can new national parks help drive that economic transition, benefitting wildlife and local communities in the process? Can parks be good neighbors, complementing historically valued local livelihoods and helping model coexistence between people and large carnivores? The conflict between predators and livestock interests is not restricted to any one area, park or country. 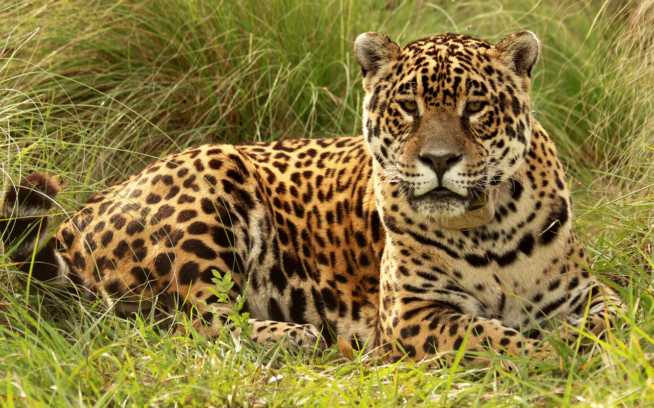 It’s a global challenge, arising wherever there are protected areas and large predators. Too often these controversies polarize attitudes of the participants. Highly emotional debates tend to drown out objective data. As we developed our puma conservation program for Patagonia Park, I sought out experts with real-world experience in this complex arena. Eight years ago, thanks to a contact made by Rick Ridgeway of Patagonia Inc., I became acquainted with wildlife biologist Jim Williams of Montana. After some months of conversation, we arranged to bring Jim to Chilean Patagonia; together with Chile’s wildlife authority (SAG), we organized a workshop so he could share some of his experiences with predator/human conflict in North America. Various representatives of NGOs, public officials and wildlife professionals attended. Jim shared the lessons of his life as a wildlife biologist, successes and failures in managing bear and puma conflicts with people in the United States, both in and near protected areas. His presentation deepened our understanding of the interacting ecological and social complexities. We realized that although it was crucial to generate scientific information about the pumas in Patagonia Park (their population status, level of predation upon the endangered huemul deer, etc. ), we also had to achieve coexistence among all stakeholders. It was necessary to build tolerance and trust among the interested parties: government agencies, NGOs, ranchers and the public. For all of us who were there, this initial push from Jim was a revelation and prompted our desire to develop a more holistic and innovative program of work. These efforts to ensure coexistence and tolerance included our Livestock Guardian Dogs Program, through which we raised guard dogs that we distributed to agricultural producers around the region, to deter predation on their livestock. For more than 10 years, we demonstrated their effectiveness with our own sheep flock at Patagonia Park. We also launched a Wildlife Friendly certification for progressive ranchers. And as the former estancia was transformed into a protected area, we brought former livestock workers, gauchos and “leoneros,” like Arcilio, into the parklands’ ranger and conservation team. These examples fill us with hope that the wildlife and rural livelihoods of Patagonia can coexist in this beautiful, globally important region. As Patagonia Park officially becomes a national park, Tompkins Conservation will continue the puma monitoring and conservation program as an essential part of our ongoing conservation work in the region, putting the expertise of Arcilio Sepulveda to good use. Our project is but one of the conservation stories Jim masterfully recounts in Path of the Puma, where he shares his passion for this formidable creature. The main character of his book is the singular and mysterious cougar, the most widely distributed land mammal in the Americas, ranging from Alaska in the north to the extreme south of Chile. Jim leads the reader in an entertaining way, traveling from Montana to Patagonia, delving into the complexity and importance of large-scale conservation efforts in today’s world, such as those deployed for more than 25 years by Tompkins Conservation in the Southern Cone of the Americas. Check out the book, Path of the Puma, an expert’s view of the big cat’s fight to find its wild. Written by Jim Williams; foreword by Douglas Chadwick. 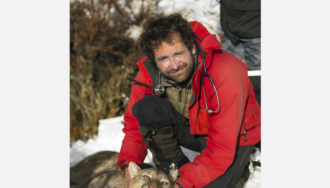 Cristián Saucedo Galvez trained as a veterinarian at the University of Chile, after which he worked for the Chilean Forest Service (CONAF) in the Aysén and Bío-Bío Regions, focusing on the conservation and study of the endangered huemul in protected areas and private properties. 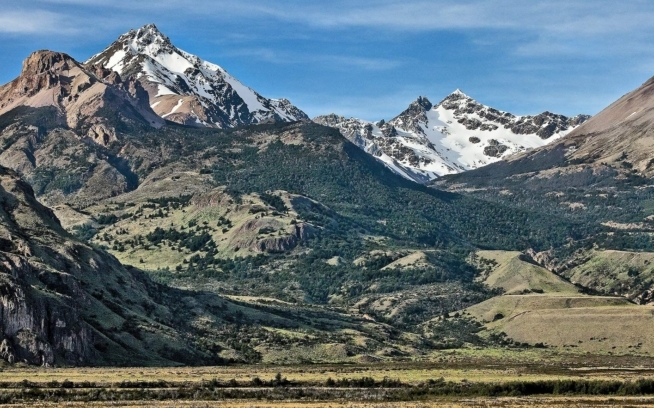 Since 2005, he has served as the Conservation Director at Patagonia Park, working on the project of converting Estancia Valle Chacabuco into the new Patagonia National Park. He has been involved in monitoring iconic native species of wildlife as the huemul, rhea, puma and Andean condor. He has also collaborated on initiatives launched by the National Parks Administration (APN, Argentina), the Committee for the Defense of Flora and Fauna (CODEFF), the Wildlife Conservation Society (WCS) and the Huilo-Huilo Foundation.